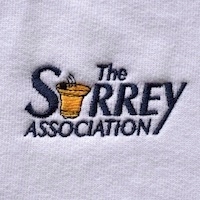 The Association has made arrangements with its clothing supplier to broaden the choice of garments available with the Association logo. A wide range of sizes and colours are available including items suitable for children. Whether you require your garments(s) to be delivered to you directly by post from the supplier. You will then receive an email response detailing the final price for your choice of garments to include the cost of the garment plus VAT, the cost of embroidery plus VAT, a mark-up for the benefit of the BRF and (if applicable) the cost of postage for direct delivery. You will then be invited to place an order by return email.